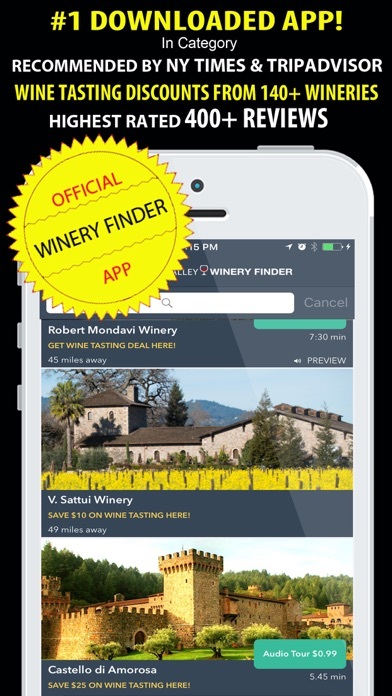 We saved so much with this app and Abe the opportunity to wine taste many wineries instead of a few because of the two for one deals. Wished they had interactive map with current location. I paid to unlock the deals and the only one I wanted to go to (Sterling Vineyard) was not there even though it’s on the website. I’d like a refund because this was useless. All over the place this app and its website talk about FREE DEALS!!! Not until you try to access one of them do you find out you have to do an in-app purchase to get those supposedly free deals. This is flat out misrepresentation; how did it get into the App Store? I have called several of the wineries listed as having savings. 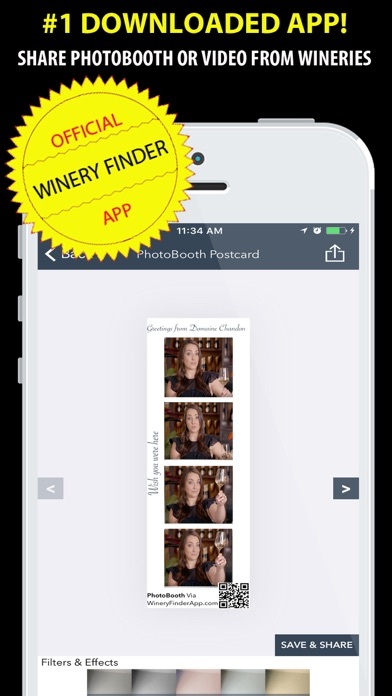 The wineries have never heard of the promotion being offered by this app. One used to be able to receive free coupons for tasting. But no more! Now they want you to buy tasting pass for it. Used to be free to access the deals. Now need $10. Not worth it when most are 2 for 1 deals that you can get passes for anyway. 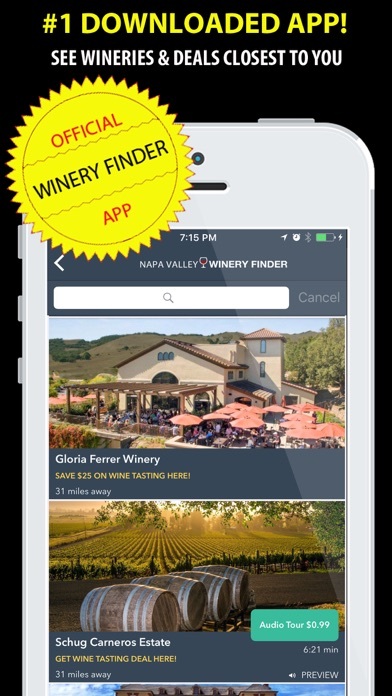 You have to unlock to view the deals and the 2 for 1 tastings are few and far between. Some offer 5-10% discounts or an additional free pour only if you purchase wines, some at least 3 bottles. I’m very disappointed that I purchased! I want a refund. 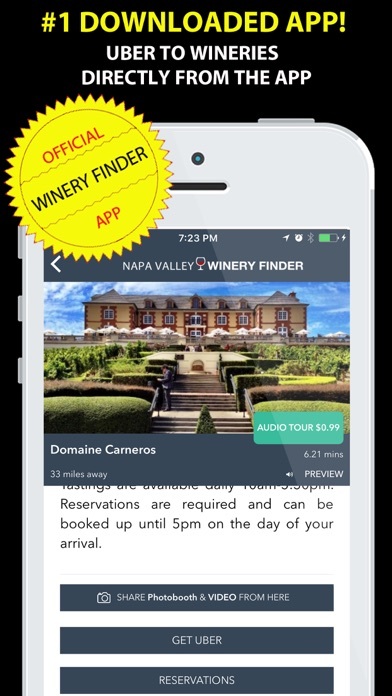 I bought this because it promises deals and discounts but for some of the wineries, the discounts or deals are the same that the wineries would give you WITHOUT having to buy this app such as Caymus.